March 23 marks the martyrdom day of freedom fighter Bhagat Singh. New Delhi: Rajya Sabha today witnessed brief uproar over the naming of Chandigarh airport, as the Opposition alleged that the BJP government in Haryana does not want to name it after freedom fighter Bhagat Singh. During the Zero Hour, CPM lawmaker Ritabrata Banerjee said there has been a controversy over the naming of the Chandigarh airport. "The Punjab Government had agreed that the airport will be named after Shaheed-E-Azam Bhagat Singh, (but) the Haryana Government, the Haryana Chief Minister said 'no'. They want to name the airport after Mangal Sein," he said. The CPI-M member said there were agitations yesterday to demand naming of the airport after Bhagat Singh. Today is the martyrdom day of Bhagat Singh, Rajguru and Sukhdev. Joining the issue, Congress leader Pratap Singh Bajwa said that on one side, there is a demand to name the airport after the great freedom fighter, but on the other hand, the BJP wanted to name it after the party's ex-Chief Minister. As several opposition members were up on their feet and created an uproar, Minister of State for Parliamentary Affairs Mukhtar Abbas Naqvi countered the allegations saying "we have never said it and nobody has said it. It is not proper to make such sweeping statements". The minister said Bhagat Singh was a martyr and was respected by everyone. As the uproar continued, Deputy Chairman P J Kurien asked Mr Naqvi to take note of the suggestion, which the minister acknowledged. As senior Janata Dal (United) member Sharad Yadav associated himself with the opposition demands, Leader of Opposition and Congress leader Ghulam Nabi Azad wanted to know from the Centre whether or not it has decided to name the airport after Bhagat Singh. "Government has said that the suggestion has been taken note of. 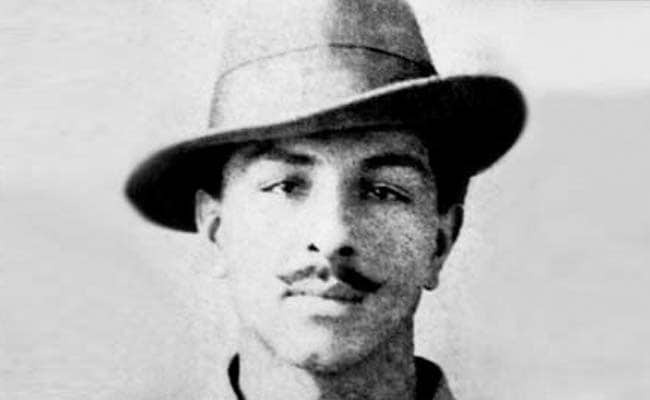 They will consider it," Professor Kurien said, adding Bhagat Singh was a great martyr and everbody respects him. Partap Singh Bajwa of Congress also made a demand that two-minute silence should be observed on every March 23 before starting the business of the House.